We’ve got a brand-new international poster for G.I. 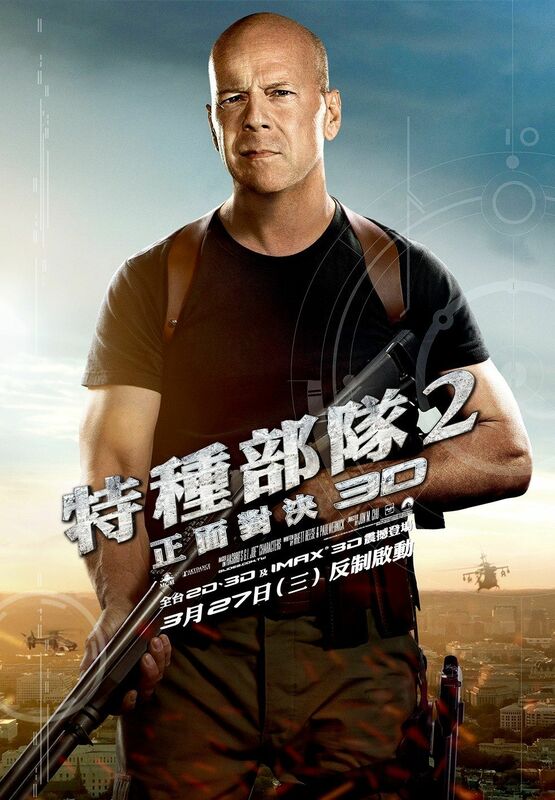 Joe: Retaliation and its focus is franchise newcomer Bruce Willis (sent in Mike Markus). Check out the poster below and don’t forget to read about our visit to the set of the film by clicking here. In the March 28 release, the G.I. Joes are not only fighting their mortal enemy Cobra; they are forced to contend with threats from within the government that jeopardize their very existence. The film co-stars Dwayne Jonson, D.J. Cotrona, Byung-hun Lee, Adrianne Palicki, Ray Park, Jonathan Pryce, Ray Stevenson and Channing Tatum. G.I. Joe: Retaliation was directed by Jon M. Chu, and produced by Lorenzo di Bonaventura and Brian Goldner, from a screenplay by Rhett Reese & Paul Wernick.